This is where we work, and where you can find us most of the time. You can read about our “secret” lab in this UCLA Today article. But it’s hard to get here, so test your spatial awareness and see if you can find us! 1) Go to ground level East end (5th floor across row vending machines) of the Math Sciences building, walk towards its west end (near Rm5308) and then take either the elevator or stairs one floor down. 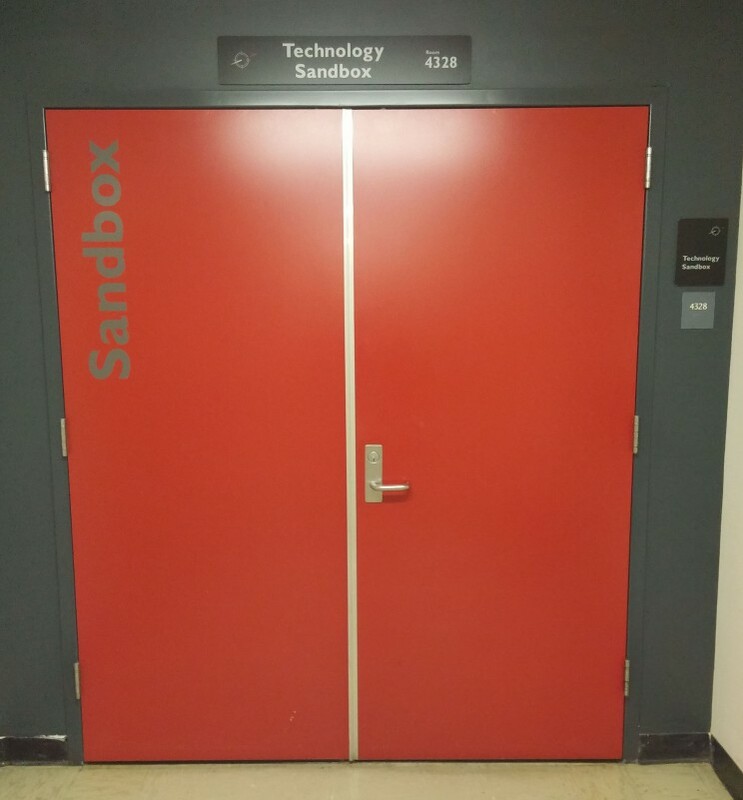 Turn left and you should see our big red double-door labeled Sandbox. 2) You can access the 4th floor of the Math & Sciences building from two ground level entrances both on the north side of the building. The closest is at the very North-West side and faces the Engineering V building. The other faces Kerckhoff and Moore Halls (labeled 4302-4328). Enter either entrance, turn right, and follow the hall in a counter clockwise direction until you see our big red double-door labeled Sandbox.